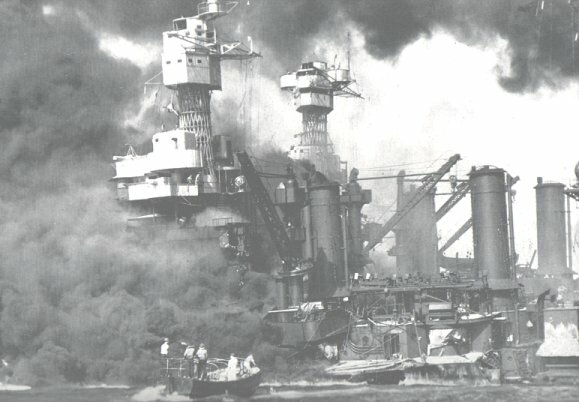 PEARL HARBOR DIVER --Daniel Madsen, author of “Resurrection: Salvaging the Battle fleet at Pearl Harbor” [Naval Institute Press] points out in is book that “surprise, the primary weapon of the Japanese that morning, had doomed the battle fleet [Pearl Harbor, December 7, 1941]. Seventy years later, I asked the family of the late Commander Garland “Jack” Suggs if I could mention the role that this dedicated career U.S. Navy officer played in the Navy’s salvage operations following the bombardment of Pearl Harbor. His daughter Hazel Suggs Iverson of Allied Gardens agreed with one caveat that the blog state that her father was only one of millions of allied heroes who fought in WWII. As a master diver and diving instructor, Suggs, who later became director of the Navy’s Deep Sea Diving School, was part of a dauntless team of divers who worked round the clock in rescue and salvage operations in the minutes, hours and months after the attack on Pearl Harbor. There was a tremendous urgency on the part of the Navy in the days after the attack to determine which of the damaged ships could be saved for the war effort. While, Commander Suggs kept silent about the human element, author Madden in his book, points out what many of the divers encountered. The water was murky. Divers had to feel along the sunken hulls by hand and at all times avoiding the jagged metal that had been twisted at grotesque angles. Suggs would in later years relate to a reporter that one of the events that made the Pearl Harbor diving teams proud was the fact that they were able to get inside the USS West Virgina and make strong case that that the battleship should and could be saved. As a result, the WeeVee was refloated in early 1942 and towed back to the Navy’s repair facilities on Puget Sound. By 1944, it became the first previously “sunk” battleship to re-enter the war effort. Commander Suggs, who died in 1996, has several generations of his family living in the San Diego area, including grand daughters Lorraine Iverson and Lynette Mauzy. In all, he made 630 career dives for the U.S. Navy and was decorated for his salvage operations at Pearl Harbor. Thank you for your service, Commander Suggs. Images: Commander Suggs photo*: Suggs/Iverson families. USS West Virginia under attack on December 7, 1941: Library of Congress. * Update: Am curious to know why and who removed the photo of Jack Suggs from this posting. You dishonor a war hero, his family and his service to this country by your unwarranted actions.